"ArtAttack is not a typical marketplace because we recognise that art is not a typical commodity. Artists can do so much more than just sell finished pieces." Catrin Podgorski talks to ArtAttack co-founder India Irving about all things tech, London, and artists. Social media has opened up avenue after avenue of possibilities for everyone, creating a multitude of platforms for consumption, communication, and creation. But how can the artistic industry use this to their advantage? This is a question ArtAttack – a new app set to launch by the end of the year – has set out to answer, bringing social media into the hands of those who create, and curate. To find out more, the 405 talks to ArtAttack co-founder India Irving about all things tech, London, and artists. So India, tell us about ArtAttack: how did you first conceive the idea for it? In the 6 years since I graduated from university, I noticed that fewer and fewer of my friends and peers who did any sort of arts degree have continued to pursue a creative path. I believe this is caused directly by the lack of support for truly emerging artists, so I wanted to create a platform that gave young artists the opportunity to support each other, connect with individuals who can help their careers and share their talent with a global audience; our three principles are "share, sell and network", and the app aims to do just that. I remember walking through Tate Modern after seeing the Matisse cutouts and feeling so inspired by his strength and determination in the face of adversity. I thought of the artists that I knew who continued despite everything, and wanted to create another path, a way of supporting them. A question I've asked myself a lot is "what is art"? What is it that makes something art? Is it because it is on the walls of a museum or gallery? Or is it because it has monetary worth, technical skill or because the "right" people have seen it? I mean, how much fantastic art is out there that isn't on anyone's walls because the right people, the people it touches, have not happened upon it? And that's the real purpose of ArtAttack -- to close that gap -- to bring art to art lovers, and in turn bring art lovers to art. What can you offer artists that makes ArtAttack unique? Most online platforms are very limiting -- you post a work, you price it and that's that. But ArtAttack is not a typical marketplace because we recognise that art is not a typical commodity. 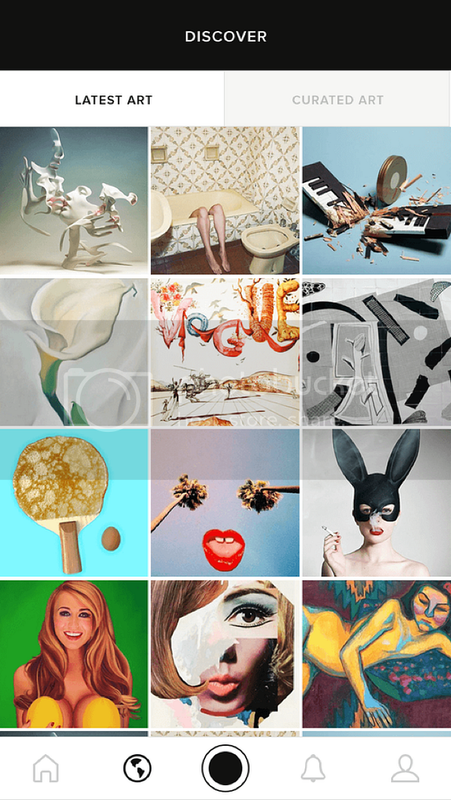 It is a social network designed exclusively for the art world - a sort of Instagram with a buy button. Artists can do so much more than just sell finished pieces; they can share images of works in progress, of other artwork that inspires them -- anything that puts forth their artistic story to the world. In doing so, users will get to know what's behind the art, what drives its creation, so it's much more interesting both for the artists and potential collectors. Beyond that, we have created a platform that is as much for emerging artists as it is for galleries, collectors and art schools. 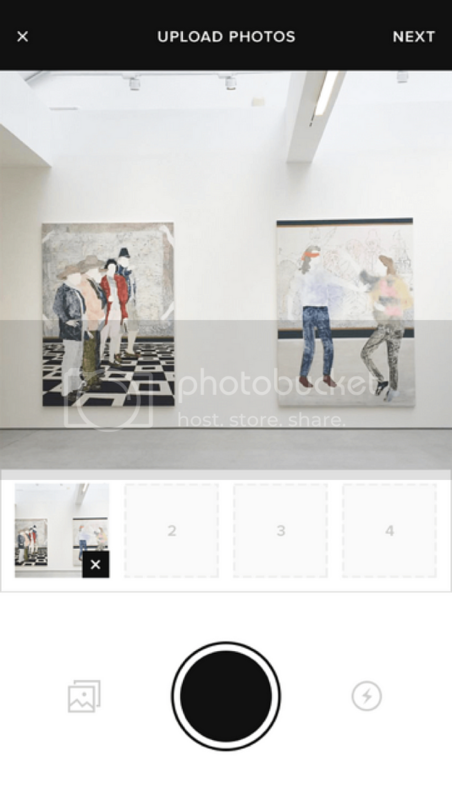 Galleries can discover emerging artists and also sell prints and share their shows through the app; collectors can search for art, and post images of their own collections; art schools can help their students be seen by galleries. It really can be used by everyone. What kind of artists are you looking to work with? Predominantly painting, or are you expanding to multi-media? We are open to all kinds of artists. In fact, we will be adding video to the app very shortly after our launch so that every genre can be properly represented. We want ArtAttack to be the digital hub for the art world, so we are definitely going to make sure we cater to all artists. The app world is lucrative and ever developing, I can imagine it's been particularly challenging setting up your own app from scratch, what have you enjoyed or found particularly difficult? What I've enjoyed the most in this process has been speaking with artists and implementing their ideas into our user interface (UI) and user experience (UX). It's thrilling because I know we are creating a platform "for artists by artists," giving them the features they want and need. I think the biggest challenge has been patience, as when it comes to development, everything seems to take so much longer than planned. But I'm just hoping the "good things come to those who wait" adage holds true for us. What drove your interest in the art market? Are there any particular artists that you particularly wanted to work with, or were inspired by? I'm very lucky because my mom always taught me that you should buy art because you love it not because of how much it costs or how much you think it will be worth in five years time. That being said, I am absolutely fascinated by the art market. As much as in some ways it's a shame that so much art is unaffordable to the vast majority of art lovers, there is an element of excitement to these soaring prices, for despite everything, they are a testament to the power of art. In terms of artists I want to work with, I'm most excited by student artists. I think making the choice to pursue art is truly courageous, and I spend as much time with the students as possible for that very reason -- I find them inspiring. You're based in London: having experienced the London 'art world' in all its overwhelming, immersive, megalomaniac glory, what's been your highlight so far? I must say I am head-over-heels in love with the London art world. You can go from The National Gallery, to a university closing show, to an opening at a tiny gallery in East London, to a private view at Blain Southern, to a post-war and contemporary auction at Christie's practically all in one night. Our blog has made this even more exciting because I feel like I need to be at everything, and write about everything! And I think that's really been the highlight for me -- being able to experience so much different art all in one place. Recently, my favourite exhibition has been the William Kentridge show at Marion Goodman. I am still thinking about it weeks later. And finally, when can we get our hands on the app?! We are aiming to launch in November and it's looking like that will happen. As soon as we have a firm date, we'll announce it across our social media so please do give us a follow @artattackapp to stay in the loop! Find out more about ArtAttack on their website.